Our CONVENTION SEASON, as well as our appearance at the inaugural ANIMENYC, has come to an end but boy it was a BLAST! Saturday AM has attended COMICON type events in the past such as Animazement and Heroescon but this summer marked a significant shift for us as we attended bigger conventions in major cities. CRUNCHYROLL EXPO was the first con from the anime-streaming service and gave Saturday AM an opportunity to meet fans on the West Coast of the United States. Likewise, AnimeNYC was an opportunity for us to meet fans in the most dynamic city in the world, the Big Apple - aka New York! Left Field Media put on both shows but AnimeNYC was really special as the guests, premieres (including FULLMETAL ALCHEMIST film debut), and crowds were as diverse and as exciting as Saturday AM aspires to be. We were once again left shorthanded as demand for Saturday AM content (books, prints, and exclusive subscription packages) were sold out by the third day of the show. 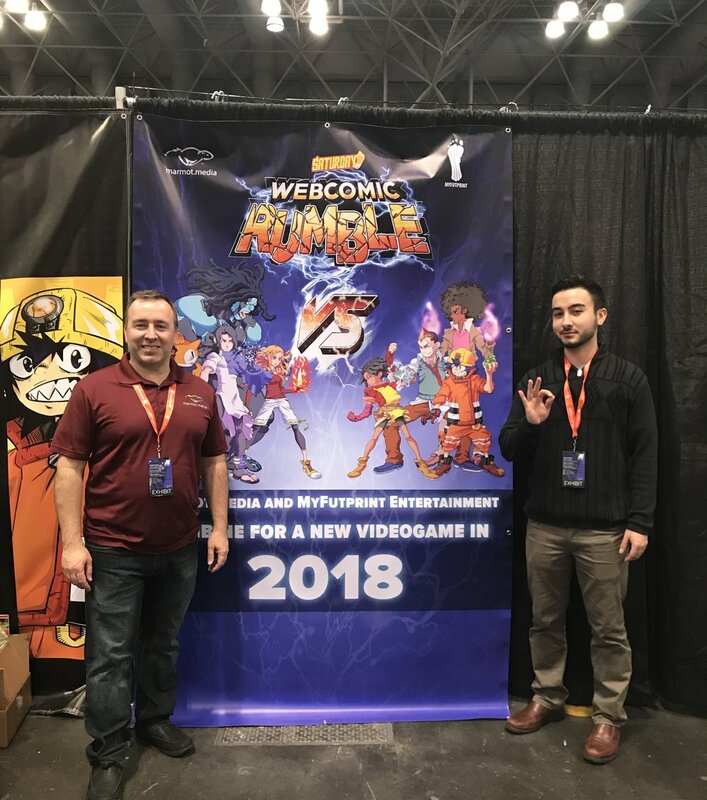 We debuted our first FULL Official look at Saturday PM, as well as Saturday AM: Webcomic Rumble (our videogame by Marmot Media) and audiences swarmed to check out Whyt Manga for both his APPLE BLACK Volume 2 as well as his expert demo of COMIC DRAW, the comics creation app by plasq. We are so excited to have experienced this support that we're already planning on our convention schedule for 2018! See you soon! Saturday AM's crew was the coolest -- Whyt Manga, David Yoon, Raymond Brown, Jack Sherwin, and Jaime Molina! Our ANIMENYC booth for Saturday AM was packed! Whyt Manga met many fellow artists as well as fans for his work at Saturday AM and APPLE BLACK. 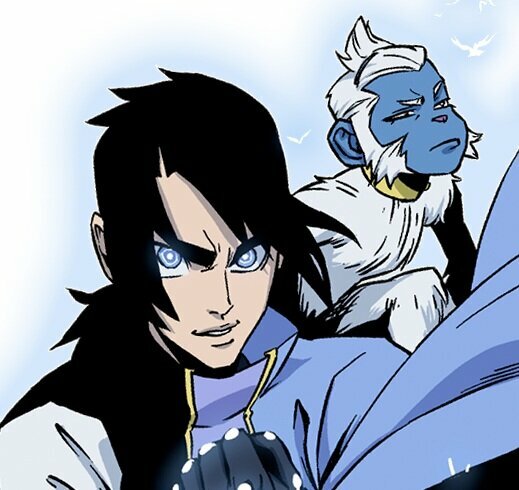 Marmot Media showed off our VIDEOGAME - Saturday AM: Webcomic Rumble! Cosplayers came by to show love to Saturday AM -- maybe one day they'll cosplay as our characters?